Diving equipment are utility products used by underwater divers to facilitate the process of underwater diving for various purpose such as R&D, recreational, maintenance defense, and others. The essential equipment used in diving are underwater breathing apparatus, bouncy managing devices, diving suits, and others. 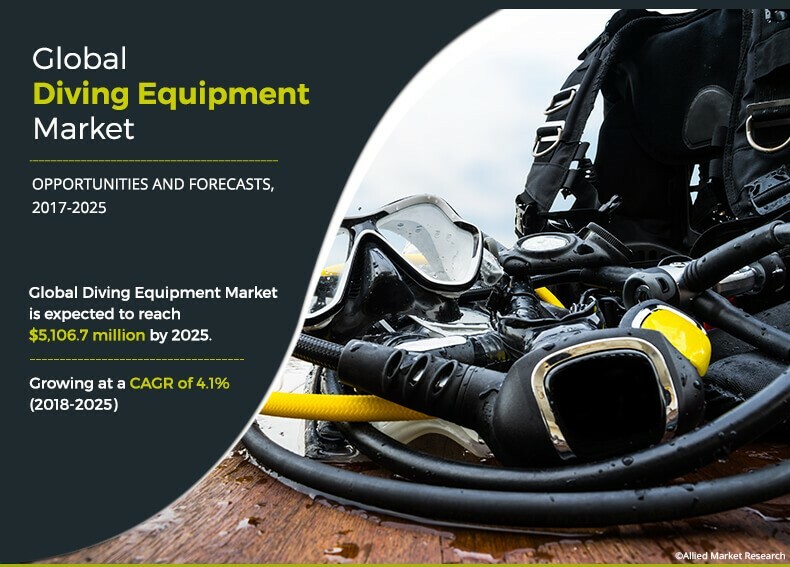 The growth of the diving equipment industry is attributed to rise in industrial & constructional activity coupled with disposable income and surge in coastal tourism. Government initiatives in the development & promotion of travel & tourism coupled with introduction of low cost airlines have significantly impacted the global tourism industry. The growth of the global tourism industry has a great impact in the economic growth in various destinations, especially the mass tourist places such as the coastal regions. A lot of tourists across the globe prefer to travel to the coastal regions, especially during winters. The regions, which meet the three S criteria, Sea, Sand and Sun, witness the highest demand among coastal visitors. Moreover, with the development of various extreme sports, recreational diving significantly gains popularity among the travelers, backpackers, and honeymoon couples. This surge in demand for recreational market is anticipated to foster the growth of the diving equipment market. 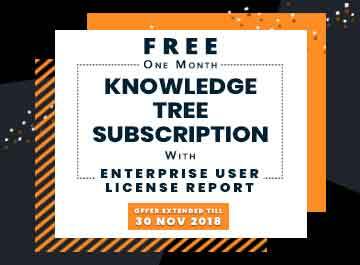 However, the market growth is anticipated to face numerous hurdles owing to rise in fatal accident while diving, and high expense involved with the product & training. Nevertheless, practice of sustainable aquatic environment, is anticipated to improve the marine flora & fauna and is projected to attract more recreational divers. This is anticipated to boost the growth of the diving equipment market. 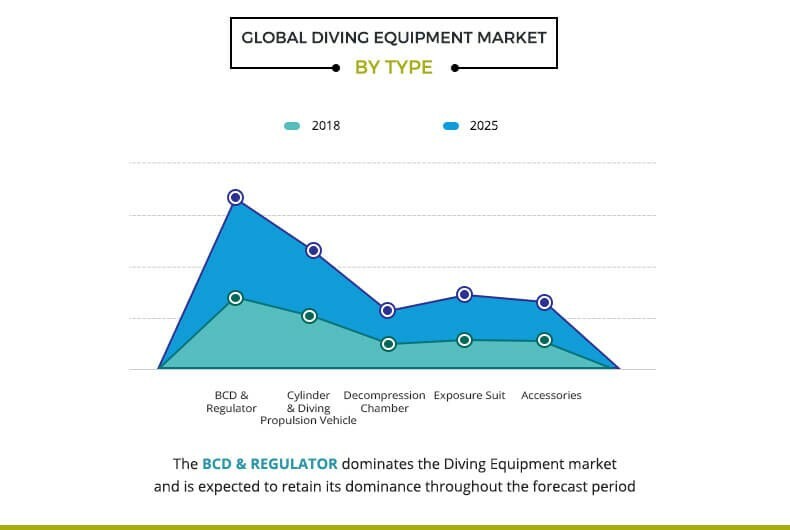 By type, the global diving equipment market is segmented into BCD & regulator, cylinder & diving propulsion vehicle, decompression chamber, exposure suit, and accessories. The exposure suit segment is anticipated to witness the highest growth and is one of the most common equipment for all divers. It is known to experience the highest wear & tear. By distribution channel, the global diving equipment market is classified into specialty store, online, and others. The specialty store is the leading supplier of this niche market. These stores are located in most of the coastal towns, near the diving sites. Reputable diving stores stock a wide range of basic scuba equipment and accessories to niche products such as underwater propulsion devices. The online segment is the fastest growing segment; online portals such as Amazon, Alibaba are some of the leading players in this segment. The other segment includes super markets & sporting goods stores, such as Walmart and Decathlon. 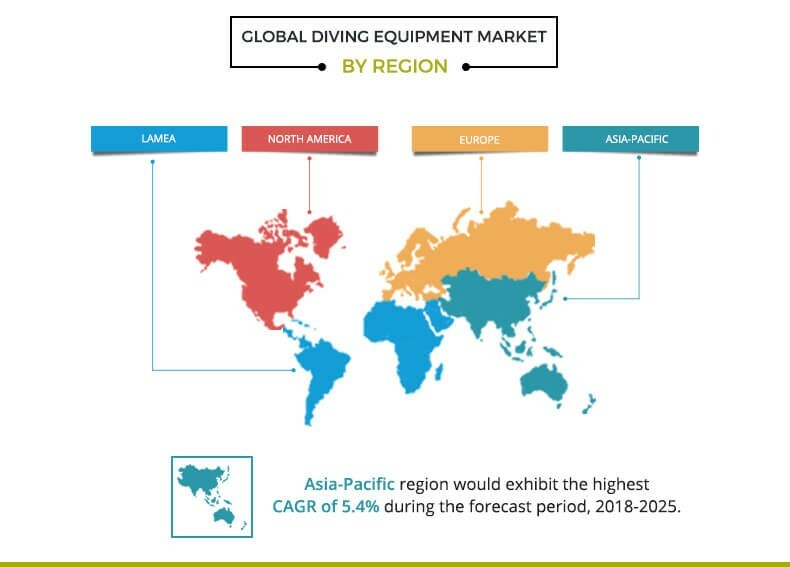 The diving equipment market experiences a surge in popularity around the world, as more and more travelers seek to enhance their coastal vacations. The leading sites for diving are generally located in the coastal regions with warm sea. In addition, the coastal regions with rich coral reef are anticipated to witness high diving activities. 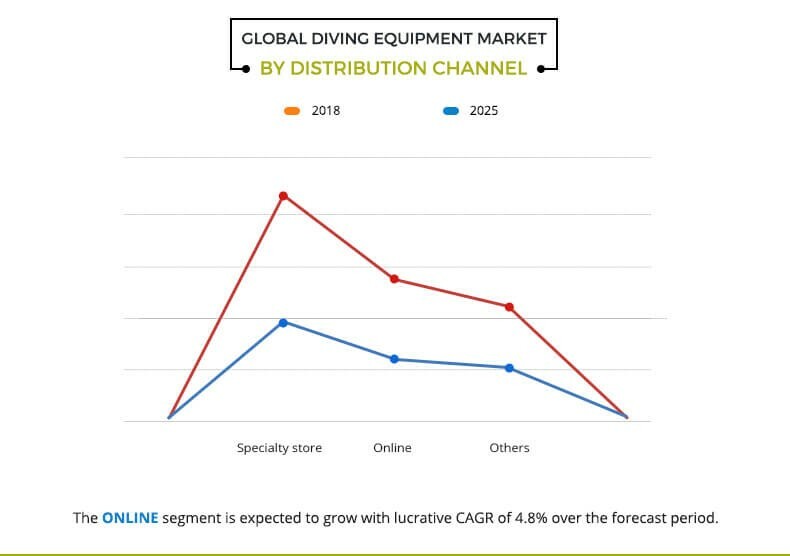 The U.S. market is the most dominant diving equipment market and the Australia diving equipment is one of the leading markets in the Asia-Pacific region. However, the ASEAN countries such as Indonesia, Philippines, and Thailand experience surge in the number of diving activities. The major players operating in the market focus on key market strategies, such as mergers, acquisitions, collaborations, and partnerships. They also focus on strengthening their market reach to maintain their goodwill in the ever-competitive market. Some of the key players in the market include American Underwater Products, Inc., Aqua Lung International, Johnson Outdoors Inc., Mares S.p.A, Poseidon Diving System AB, Cressi Sub s.p.a, Beuchat, AQUATEC - DUTON INDUSTRY CO., LTD., H2Odyssey, and Dive Rite. The key players and their strategies are profiled and analyzed thoroughly, which predict the competitive outlook of the market. 7.1. American Underwater Products, Inc.
7.8. AQUATEC - DUTON INDUSTRY CO., LTD. Diving equipment are essential and safety products, which facilitate a diver to temporarily adopt the aquatic environment while diving underwater. Technological advancement has significantly aided the development of the market and ease the life & process of diving. Thus, the divers can dive much deeper and explore to new level. The global diving equipment market is expected to witness a robust growth during the forecast period. This is attributed to increase in disposable income in the developing countries, change in lifestyle of consumers, and surge in the demand for adventure activities such as diving. Asia-Pacific is anticipated to witness high growth as large number of travelers, backpackers, and honeymoon couples seek for the most out of their vacation by including adventure activities in their itinerary. Australia, Thailand, and Philippines are some of the most opportunistic markets for diving equipment.